DPPS is made up of instruments and accessories that can be coupled in different outfits to meet specific needs in sports and rehabilitation. Since 1997, Delos has continually increased its effectiveness in injury prevention, rehabilitation, and performance improvement. This has confirmed our original biomechanical hypothesis. The use of DPPS with thousands of subjects has given Delos an unmatched know how and allowed for the discovery of unknown aspects of proprioception. On these bases, Delos has redefined proprioceptive training. Today, DPPS represents state of the art for assessing and training proprioceptive control. The software version 6.5, with its automatic test analysis, monitoring functions and hundreds of predefined training protocols makes it easy and intuitive the use of the program. 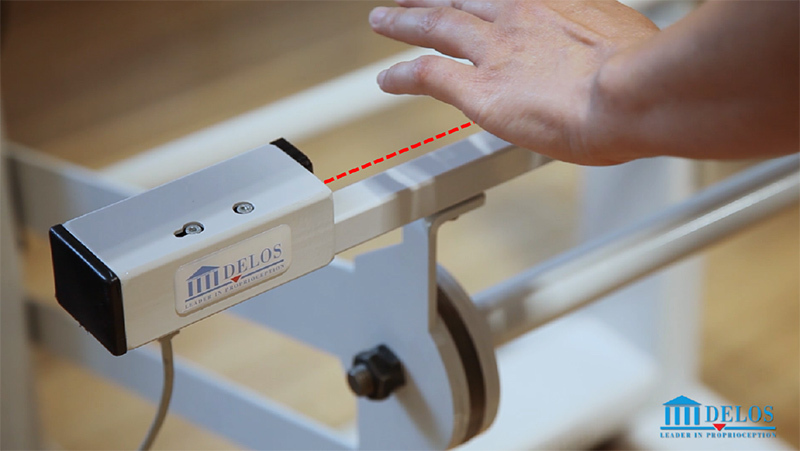 The second generation of the Delos Rocking Board, with “a degree of freedom” and visual tracking of the micro-rolling of the point of support. Its exclusive rocking movement, combined with the subcortical visual tracking in real time, creates high-frequency instability conditions and consequent high-frequency activation of proprioceptive reflexes. The variable radius of the rolling surfaces permit different levels of instability and different tasks. 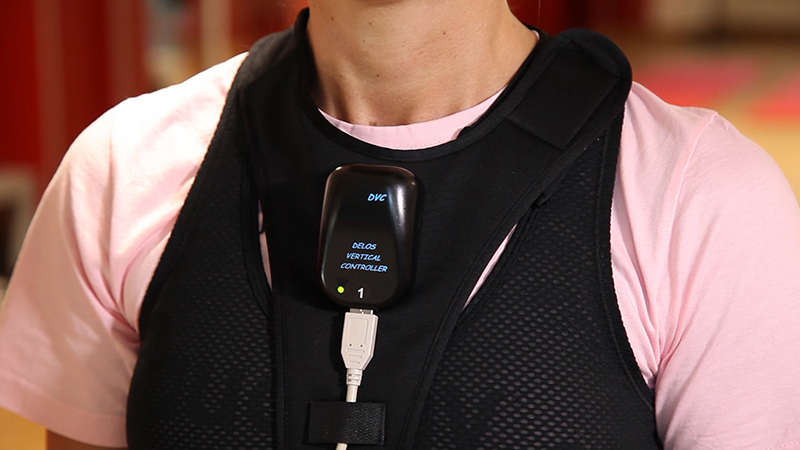 The wearable sensor measures the subject’s stability in static and dynamic conditions and different stances (single, double, sitting). It records and visualizes in real time the movements on the coronal and sagittal planes in relation to the vertical axis. DVC can be placed on the trunk, head (nape or forehead) and on any other body segment (knee, shoulder, lumbar-sacral zone). The station allows the subject to experience uncommon situations of instability in safe conditions. The infrared sensorized bar, in fact, provides a potential point of support, recording the contact of the hands (precautionary strategy). DAD allows even subjects with low levels of motor abilities, old age or motor pathologies, to quickly and spontaneously reach total autonomy in managing situations of high instability.